Preceding the October 20-23, 2011 Moving Toward Wholeness Conference -- all at Laurel Ridge Conference and Retreat Center are Pre-conference Events. IMPORTANT NOTE: There is a separate registration for the "Moving Toward Wholeness" Conference. "Our psyche is set up in accord with the structure of the universe, and what happens in the macrocosm likewise happens in the infinitesimal and most subjective reaches of the psyche." We live in a dramatic period in the history of the world, with high stakes for the planetary future. To help us navigate this passage, we need every available source of relevant insight. Perhaps more than any other form of analysis, archetypal astrology can shed clarifying light on how events and trends throughout the world at a given time are meaningfully connected -- political events, social trends, the music and films, scientific discoveries, the public mood and collective psychological tendencies. And when we examine the synchronistic waves of events in terms of their underlying archetypes, historical patterns that unfold cyclically through the centuries come into focus. Our eyes are opened to see more of the meaning of what's happening now. Jung himself investigated astrological correlations throughout his career, and used astrology regularly in his clinical practice against the grain of his increasingly reductionist profession. Many of us who have pursued this research in a systematic way have concluded that there are few frames of reference more revealing of both individual and collective psychological conditions than an archetypally informed knowledge of current planetary positions. Like paying attention to weather reports before setting out to sail on a windy day, learning about the planetary “transits" can help us live both more intelligently and more deeply as individuals. It can also provide a powerful lens for us to discern the deeper evolutionary currents moving through history. In this pre-conference event beginning Thursday morning, through both lecture and film and music illustrations, Richard Tarnas will help us explore the major planetary alignments and archetypal forces at work currently and in the decade to come. The heart-centered and earth-honoring spiritual traditions of the indigenous Americans (North, Central, and South) all consider the heart to be the vital organ or center (interior 'axis mundi') from which life is to be lived to produce health, joy and wholeness for humans and all creatures on Mother Earth. The mind is viewed as a servant of the heart, and not the master. The heart is a spiritual core already attuned to the earth and its ancient chthonic wisdom. This eco-friendly wisdom is in great need in modern culture today. A wide variety of sacred indigenous ceremonies serve to powerfully activate the symbolic life, and can help us embody this heart-wisdom for living. Drawing on his lineages as a Cherokee-metis healer, and his Kichwa Iachak lineage, Mikkal will lead us, through story, chant, and ritual deeper into this indigenous heart wisdom rooted in Mother Earth spirituality, and reveal some of the major resonances with Jungian psychology. Through a Sacred Fire ceremony in which Earth, Wind, Water as well as Fire are portals, and through ecstatic drumming, chanting, and story telling, we will connect with the Spirit of the Earth, the Creator and Maker of Dreams, and we will each tap this Source to make earth-mandalas, "despachos," composed of beautiful foods, plants and flowers. We shall place our prayer and its symbol in the center of this earthen-mandala, and offer it back to the Earth Mother in the Sacred Fire -- the concluding act of this ancient ceremony. Note: The only events that qualify for the $20.00 discount off The Moving Toward Wholeness registration fee are the first two events listed above. Please reference the Schedule Block at the end of this page for dates and times of workshops and costs for each. 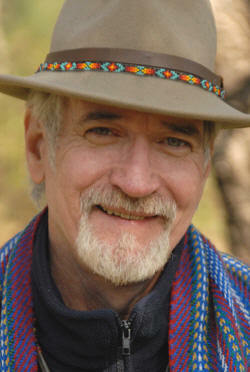 Special Pre-conference Segment -- to be coupled with "Moving Toward Wholeness Workshop"
Archetypal psychologist James Hillman, aided by the neo-platonic concept of Aphrodite as the Soul of the World, helps us create a relationship with nature as that of a lover with the beloved. This Pre-conference Experience will explore how this can be done as illustrated through an intimate travelogue. Participants will learn how a deepening sense of place can be developed through the lenses both of a knowledge of the geology and an appreciation of the details of some unusual landscapes in Wisconsin. Our process will serve as a metaphor which mirrors awareness of the many layers of the collective unconscious in the human psyche. From our time together, participants will discover how to view any landscape with a lover's gaze. Come prepared to share your connection with your favorite landscape or spot in nature. In this workshop, we will explore the use of traditional West African drumming and storytelling as a means to enter the world of mythology and its images, particularly those used in traditional practices of initiation. In the process, participants will learn the basics of West African drumming. The workshop will begin with a myth being told, built around the theme of initiation. This will be told in accompaniment to a djembe. Participants will share elements of their own lives related to personal initiation, then material will be presented on the elements of the West African initiatory process. After the learning the basic djembe technique, attendees will be introduced to the traditional djembe ensemble and then learn a complete arrangement of a traditional rhythm with the opportunity to play all of the parts used in a West African Tribal practice of Initiation. Together we will experience firsthand the consciousness changing and calming effects of drumming in groups. 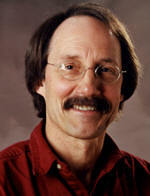 Tom Harris, M. S. has taught in the experiential therapy arena for the last 29 years in residential and outpatient settings. 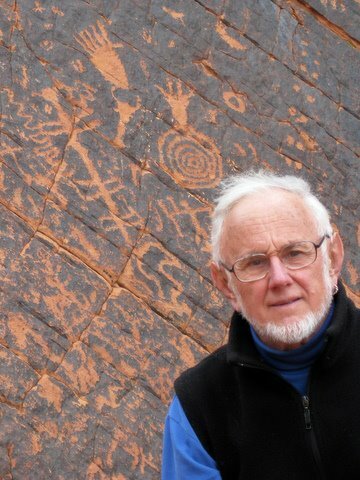 Before embarking on the therapeutic drumming journey, he spent 12 years leading outdoor experiential activities and trips, and using rustic construction in the same way. 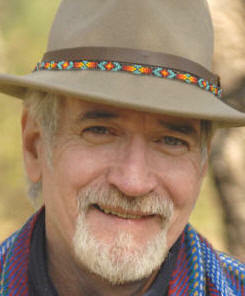 Since establishing his Therapeutic Drumming program in 1996, he has established himself as an authority in this field. 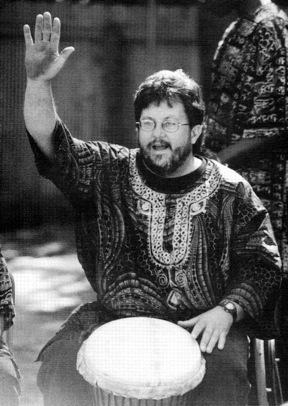 As Tom developed this program, he studied with many professional djembe players from West Africa, and in 1999 spent time in Guinea, West Africa, studying with a well known djembe teacher and immersing himself in the culture from which these teachings came. For the last 8 years his primary teacher has been Mamady Keita, one of a handful of initiated Master drummers from Guinea. 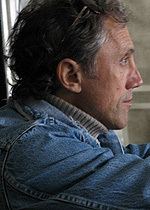 He has presented at many professional conferences, building over 1300 drums in workshops, helped 10 other programs and schools start similar programs, and taken youth in his drumming groups to 8 other states in the process of tallying up over 600 public performances including the Lincoln Center in New York City. 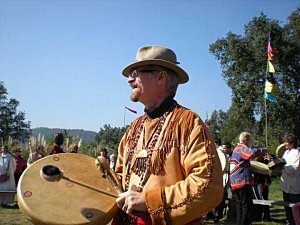 He has been active in the Men’s Mythopoetic movement since 1996 and has led drumming and mythtelling at many of their gatherings. The Myers-Briggs Type Indicator (MBTI) is a practical application of Jung’s’ theories on psychological type, created by the mother-daughter team Katherine Briggs and Isabel Briggs Myers. The most widely used personality test in the world, the MBTI serves as an introduction to Jung’s ideas and helps people to better understand themselves and develop their potentials. Pre-conference participants may sign up to take the MBTI and learn how to interpret and apply their results as well as increase their knowledge of Jung’s theories of psychological type. Please register in advance for this workshop by noting the intention to participate in the "Comments" section of the registration form, or by contacting Journey Conferences at info@journeyconferences.com. Participants will receive the Myers-Briggs questionnaire at the pre-conference registration/check-in, complete and return the questionnaire by the next morning, and then meet later that day for the group workshop. 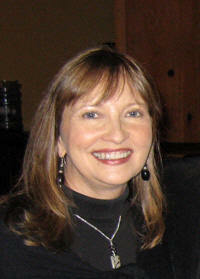 Questions about the MBTI and the workshop may be answered by contacting Adele Tyler at adeletyler@comcast.net. Adele Tyler, M.S.S., has a master’s degree in sociology, Myers-Briggs certification, and life coach certification through the Hudson Institute of Santa Barbara. She has studied Jungian psychology, formally and informally, since 1989, at Vanderbilt University, the Jung Seminar in Zurich, and various workshops and seminars. She was trained in use of the Pearson-Marr Archetype Indicator and in its’ application by Carol Pearson and Depth Coaching originator Pat Adson. An active participant, board member, and workshop presenter at the former "Journey Into Wholeness" events, Adele has written articles on psychological type, introversion, and extraversion for the forthcoming Encyclopedia of Psychology and Religion. In addition to her work as a Myers-Briggs consultant and life coach in Nashville, TN, she has been a co-owner with her husband, Dan, of a music publishing and production company for over twenty-five years. SPACE IS VERY LIMITED, SO REGISTER AS SOON AS YOU CAN TO ENSURE YOUR PARTICIPATION. There is a separate registration for the "Moving Toward Wholeness" Conference. Fee includes tuition for Discerning the Spirit of Our Age ... or Rekindling the Heart ... and other Pre-conference events as noted on the Pre-Conference registration form(s), dinner, breakfast, lunch and lodging. (future pricing subject to change). Note: These registrants receive a $20.00 discount off of their Moving Toward Wholeness Conference registration. 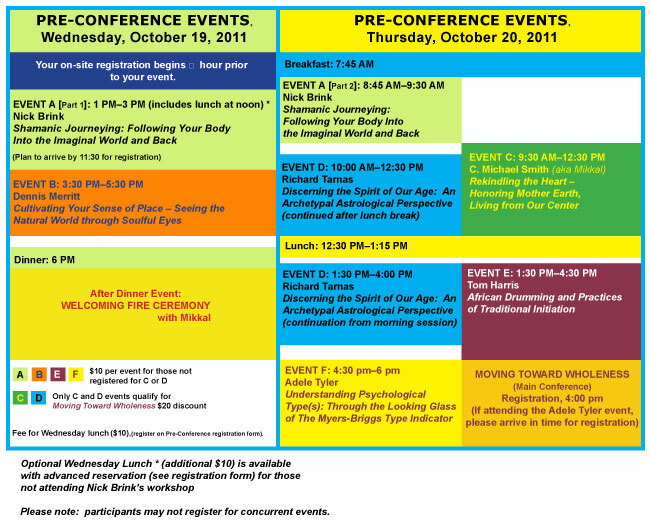 Register: Deadline for Registering is September 27, 2011 (if space is still available.) After that you may still call registrar, Tom Lane at 336-545-1200 to see if we can make a space for you. There will be no onsite registration. Register here for Pre-conference Events. Note: There is a separate registration for the "Moving Toward Wholeness" Conference. Registrants not attending Discerning the Spirit of Our Age ... or Rekindling the Heart ... may attend other Pre-conference Events for their additional nominal fee(s). In registering for this special lodging, please specify in the box provided your anticipated arrival time. (The fee includes Wednesday dinner, Thursday breakfast and lunch -- $120.00 per person in a single room; $100 per person in a double room). All registrants are invited to the opening fire ceremony after dinner on Wednesday night for no added fee and other events each with their nominal fees (as noted on the registration form(s)). © Copyright 2007-2011 Journey Conferences. All rights reserved.